County supervisors have voted to spend $3.1 million of leftover funding from the fiscal year 2017 budget to build more classrooms at Lucketts Elementary School. The classroom money is among $7 million of unspent funds that will go to the school system, and $84 million in total. Parents and the School Board hope the classrooms will alleviate crowding in the 45-year-old building. Parents and the Lucketts Elementary PTA have made a sustained push at both the School Board and Board of Supervisors to expand the elementary school. The classrooms are expected to cost $3.1 million. 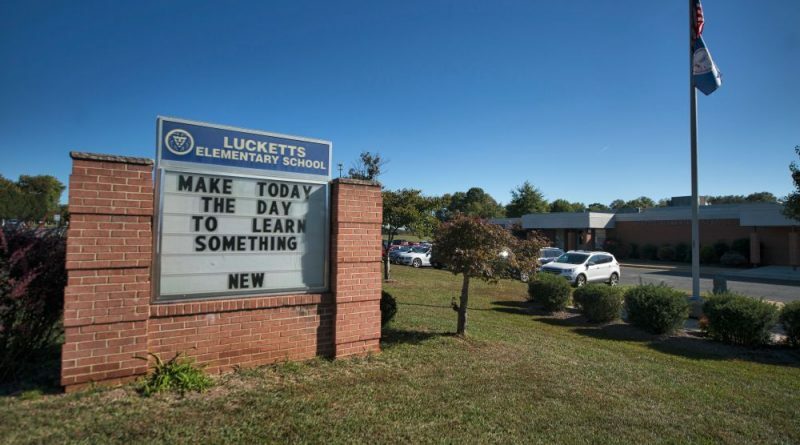 The School Board also requested $3.9 million to expand the Lucketts Wastewater Treatment Plant to accommodate the needs of the Lucketts Community Center, planned Lucketts Fire and Rescue Station, and future growth at Lucketts Elementary, and to bring the plant up to state requirements. Supervisors earmarked another $12.3 million to help push down the real estate tax rate in the fiscal year 2019 county budget, which begins in July. The county budget staff estimates it will cost $8.2 million to shave a penny per $100 of assessed value off that tax rate. And $27.3 million will go to one-time expenses and capital projects in FY 2019. Supervisor Geary M. Higgins (R-Catoctin) asked his fellow supervisors to carve out $2 million in case the state moves forward with plans for new state park in northwestern Loudoun. In 2016, the Old Dominion Land Conservancy, transferred 600 acres donated by the Robert and Dee Leggett Foundation to the Virginia Department of Conservation & Recreation for that new park. However, it will be several years before the state is ready to open the park to the public. The county board has also asked the General Assembly to purchase the 281-acre Blue Ridge Center for Environmental Stewardship from the Leggett Foundation for that park. That property, valued at $3.5 million, has been offered to the state for $2.9 million. But there is no funding for that purchase in the governor’s proposed budget. Supervisors declined Higgins’ request to set aside those $2 million. Supervisors also authorized spending $465,000 to contract a project manager for the county treasurer’s office to help centralize tax billing and collections for the town governments. The county has launched an effort to set up systems and win state approval to take over billing and collecting taxes for most of the county’s incorporated towns. That program was originally projected to cost around $220,000, $100,000 of which would be reimbursed by participating towns.